Hi. I am feeling a lot better today but unfortunately my toddler seems to have been struck down with it now. I wish I could be the one to still be feeling sick not him, it is so hard when they can't tell you exactly what is wrong. There has been lots of grizzling and a high temp, hopefully it will pass quickly. When Sebastian had a 'nap' I took the opportunity to play along with the latest CASE study challenge. Maile Belles was one of the first blogs I started to follow, I love her work so I really wanted to play along. 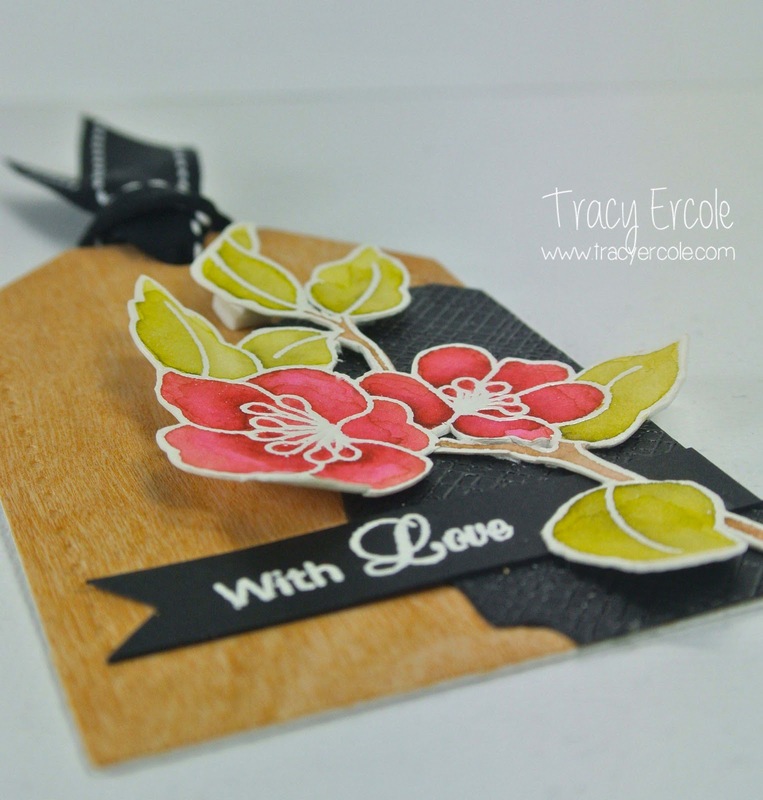 I was inspired by the flower and leaves but decided to make a tag instead of a card. This is what I came up with. I am also going to link this up to the Gift Tag Challenge on the Moxie Fab World blog. Thanks for stopping by, I hope you have a lovely weekend. Absolutely stunning Tracey! 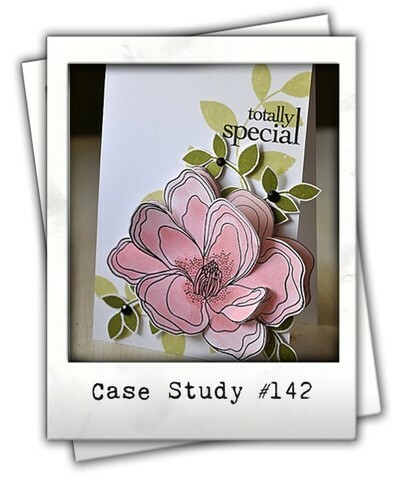 I LOVE how the black just pops against the woodgrain and pink/green of the flower. Beautiful coloring and layout too. Perfect! Tracy you CASE is gorgeous, I love that tag. 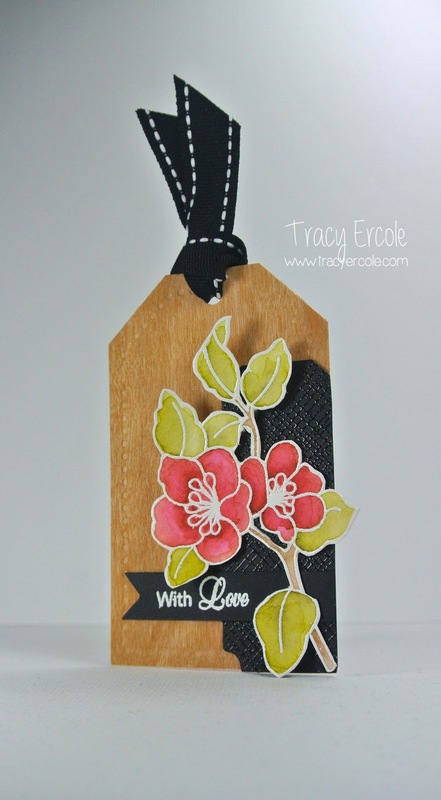 Great idea to make a tag, Tracy, and what a stunning tag you've made! You have done Maille proud!! P.S. I hope the baby feels better in no time! Hope your little man feels better soon! !